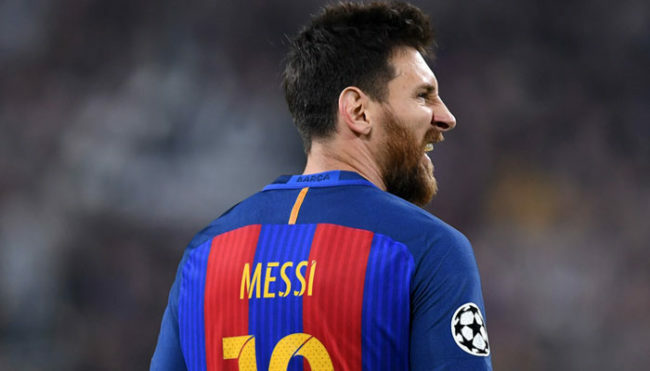 Lionel Messi came off the bench to inspire Barcelona to a late comeback away to Sevilla on Saturday night, with the pint-sized magician scoring a stunning equaliser to help his side to a 2-2 draw. Sevilla looked set for a hard-fought victory against the La Liga leaders, with goals from Franco Vasquez and Luis Muriel putting the hosts in the driving seat. However, the introduction of Messi just before the hour-mark, replacing Ousmane Dembélé, would eventually change the game. The Argentinian immediately upped the tempt for the visitors, but it took until the 88th minute for Barca to get one back, via Luis Suarez from a corner. Then, just a minute later, Messi produced yet another trademark moment of magic, with the attacker firing home a beautiful curling effort from outside the box. He just never stops, does he!? The draws sees the Catalan giants go 12 points clear of Atletico Madrid at the top of the La Liga table, with another title within touching distance for Ernesto Valverde and co.
Where would Barca be without Messi? !